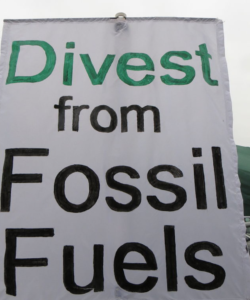 New article on fossil fuel divestment at Oxford Research Encyclopedia of Climate Change Communiciation - Luis E. Hestres, Ph.D. Divest from fossil fuels sign. Dr. Hopke and I have another article pending from the Oxford Encyclopedia about Internet-mediated climate change activism.